All of us have experienced creative connection, and glimpsed its power. Yet, for centuries, the myth of the lone genius has obscured the critical story of the power of collaboration. 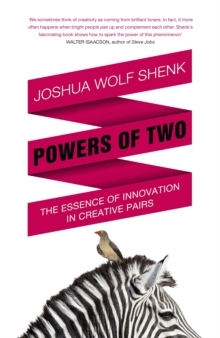 In Powers of Two, Joshua Wolf Shenk argues that creative pairs are the exemplars for innovation. 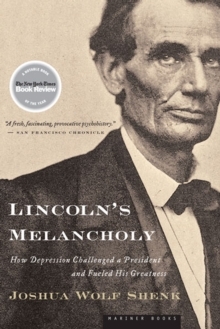 Drawing on years of research on great partnerships in history - from Lennon and McCartney to Marie and Pierre Curie, plus hundreds more in fields including literature, popular culture, art and business - Shenk identifies the common journey pairs take from the spark of initial connection, through the passage to a cognitive 'joint identity' to competition and the struggle for power. 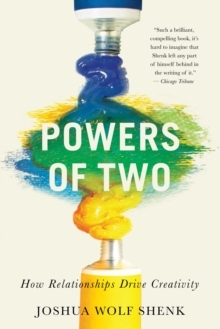 Using scientific and psychological insights, he uncovers new truths about epic duos - and sheds new light on the genesis of some of the greatest creative work in history. He reveals hidden partnerships among people known only for their individual work (like C.
S. Lewis and J. R. R. Tolkien), and even 'adversarial collaborations' among those who are out to beat each other. This revelatory and lyrical book will make us see creative exchange as the central terrain of our psyches.